The TSJ book club launched at the 2014 Curriculum Fair and had a great turn-out in January for bell hooks' Teaching to Transgress. Books are suggested by book club members (those who signed up or showed up) and the group has decided to read a new book each month - alternating between one practical classroom and one more theoretical or political title. 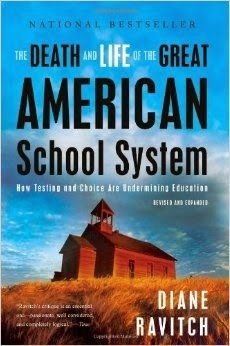 The winner for the MARCH TSJ Book Club is The Death and Life of the Great American School System: How Testing and Choice Are Undermining Education by Diane Ravitch. The March Book Club will meet on Saturday, March 14th from 3 and 5 at a member's home in the Logan Square neighborhood. Please RSVP via our new MeetUp group or email Genevieve Caffrey. genevievecaffrey @ gmail.com . 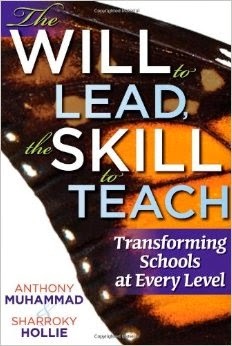 The Feb Book Club read The Will to Lead, The Skill to Teach by Anthony Muhammad and Sarrosky Hollie It met Saturday Feb. 14th from 3 to 5 at the home of Genevieve Caffrey in the Uptown/Edgewater neighborhood. It was an interesting and energetic discussion. RSVP here to reserve your spot at this screening and discussion of Fruitvale Station and Stopping School to Prison Pipeline. 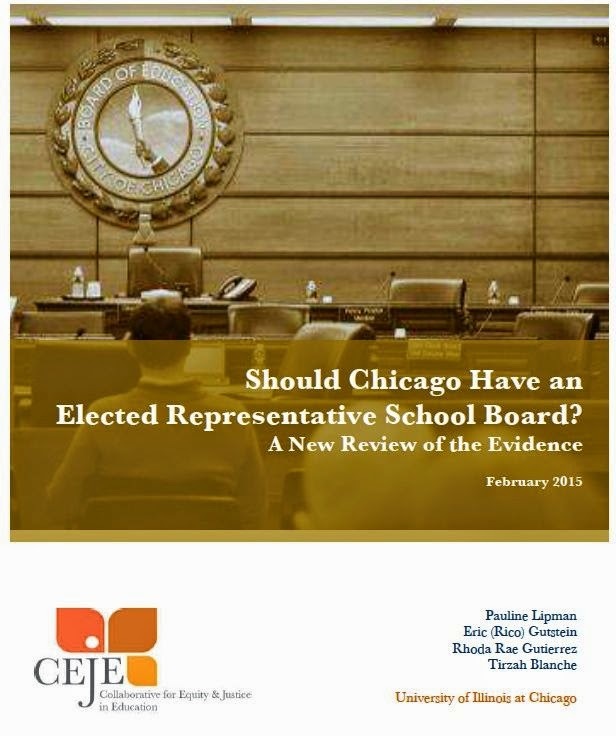 Why do young Black men in the Chicago Public School system get suspended disproportionately at 11 times the expulsion rate of district schools within charter schools? How do racially unjust police practices play out in the school system and what can we do about it? 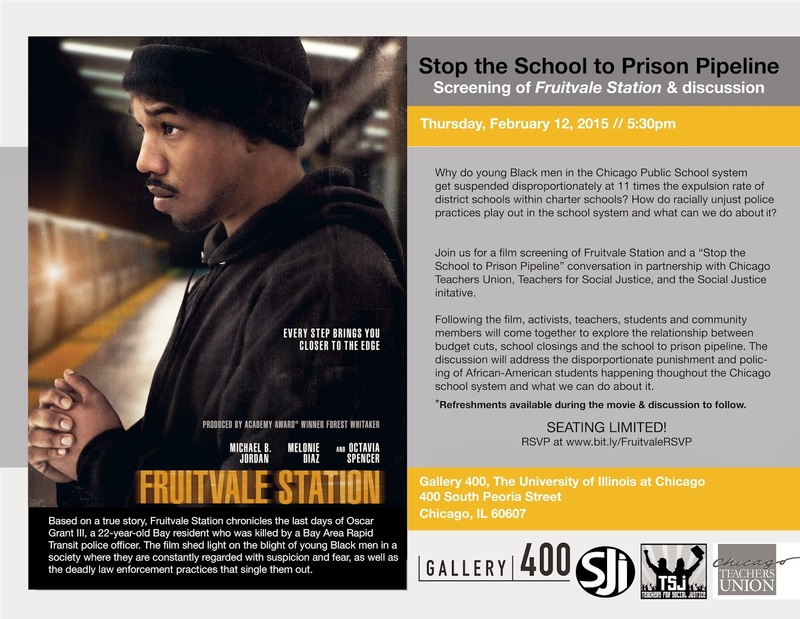 Join us for a film screening of Fruitvale Station and a “Stop the School to Prison Pipeline” conversation in partnership with Chicago Teachers Union, Teachers for Social Justice, and the Social Justice initative. 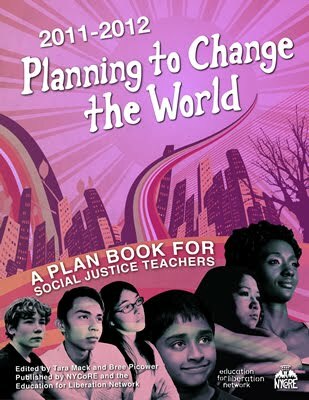 Following the film, activists, teachers, students and community members will come together to explore the relationship between budget cuts, school closings and the school to prison pipeline. The discussion will address the disporportionate punishment and policing of African-American students happening thoughout the Chicago school system and what we can do about it. *Refreshments available during the movie & discussion to follow. SEATING LIMITED --- RSVP today!!!! Email essence1@uic.edu with any additional questions or concerns.